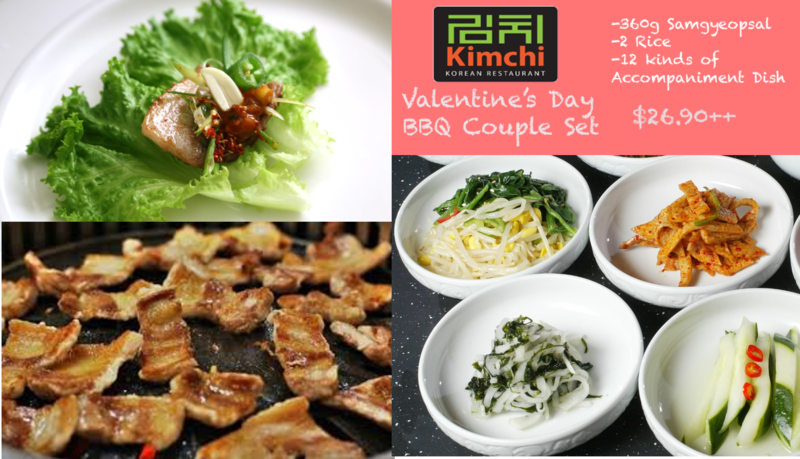 Enjoy the Valentine's Day BBQ Couple Set for $26.90 at Kimchi Korean Restaurant. Only available on 14 Feb! Kimchi Korean Restaurant is located at West Wing, #02-387.